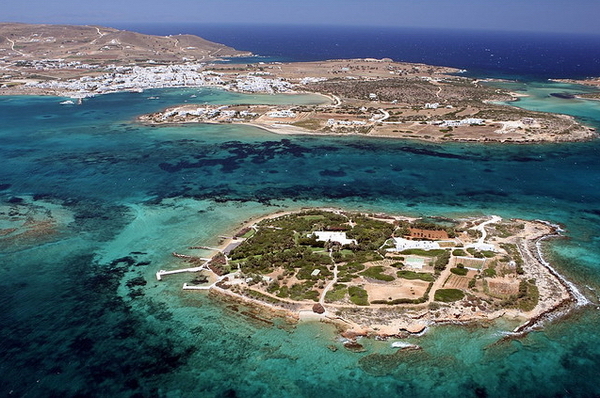 Paros Situated in the centre of the Cyclades islands, Paros is the very picture of a traditional Greek island. 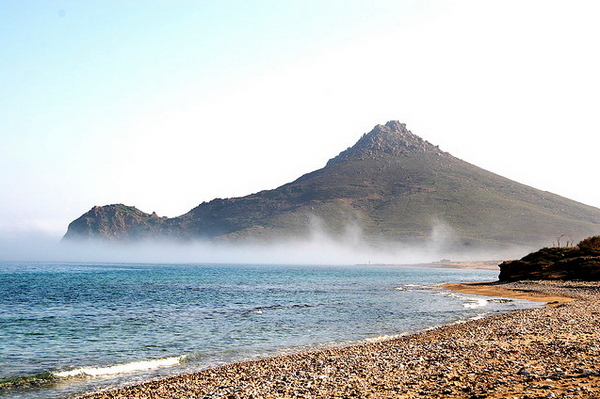 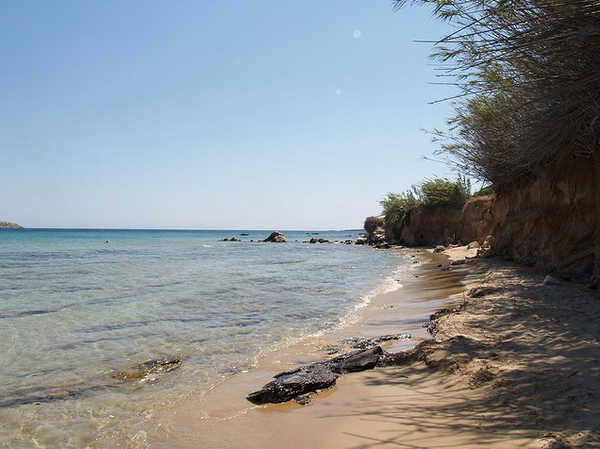 There is much to see and do on the island, the Parian wine is famous and of course, there are wonderful beaches. 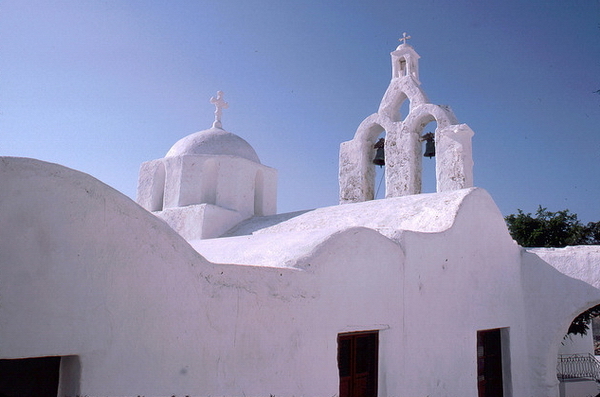 Many travellers prefer to stay in the island's capital Parikia, which is a beautiful village with sparkling white houses and little streets you can wander around in. 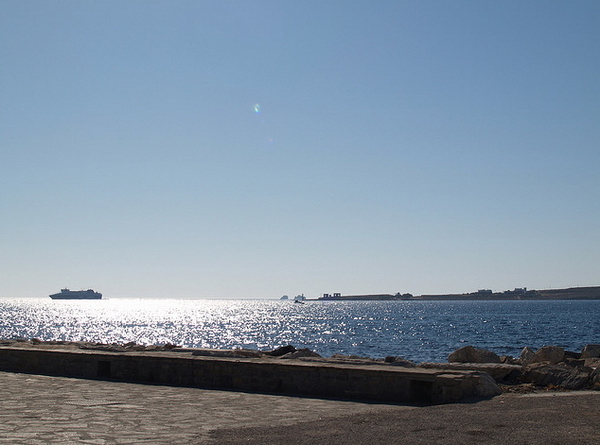 The harbour is very busy, since almost all ferryboats make a stop here. 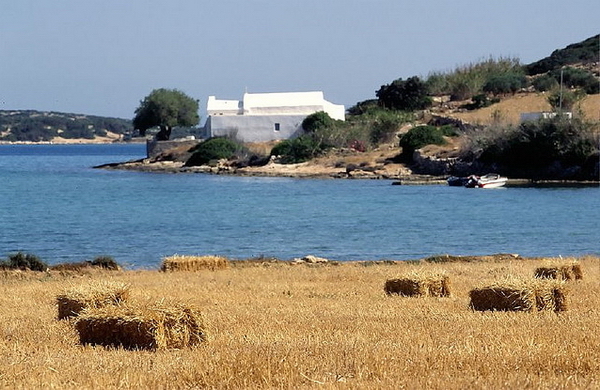 For obvious reasons, this makes Paros a perfect place for island hoppers. 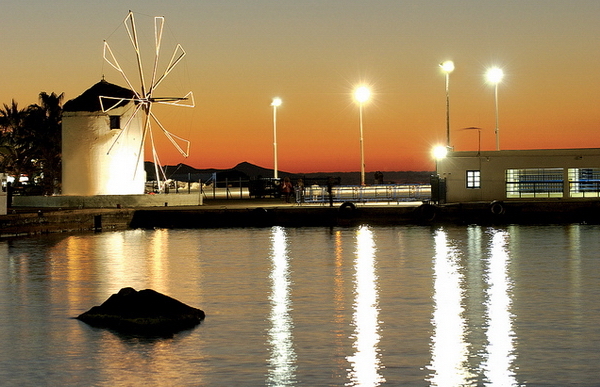 Others prefer the smaller villages, especially the little fishing village Naousa. 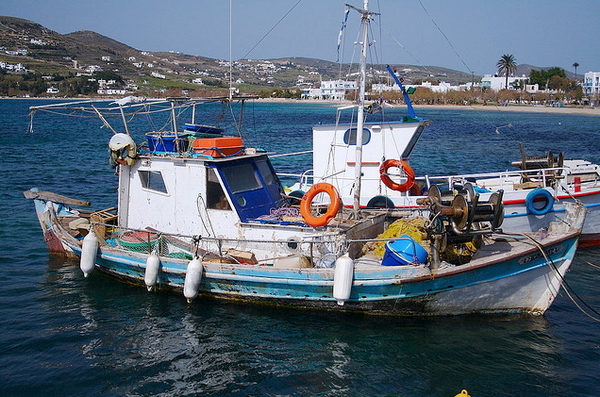 The fishing boats are everywhere, since fishing is the traditional source of income for the islanders. 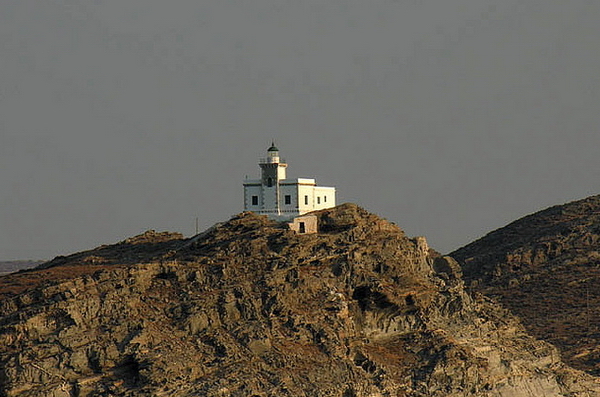 The Parian marble is famous since ancient times, and has also provided the island with a good income. 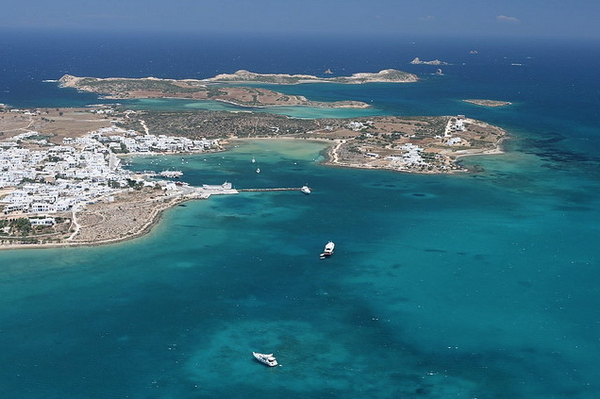 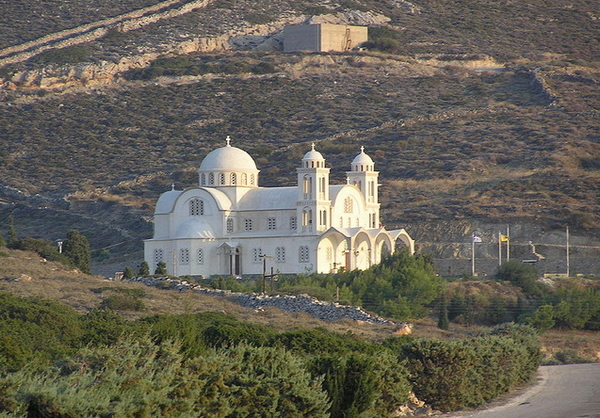 Paros developed its tourist industry in the late 1960s and it is, today, one of the most visited islands in the Cyclades. 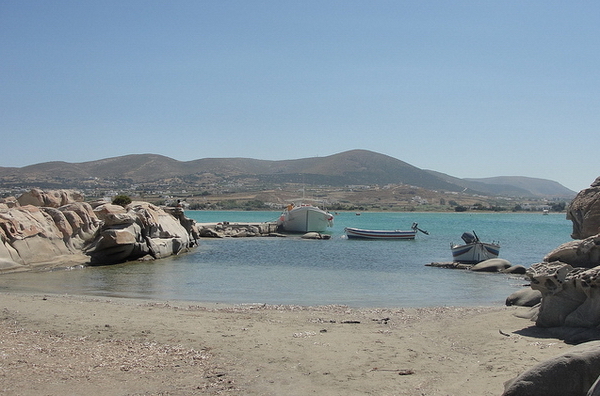 Paros has almost everything that a holidaymaker to a Greek island expects. 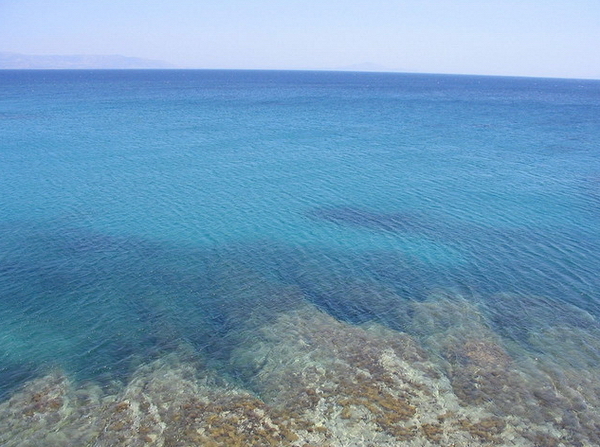 For instance, a cosmopolitan atmosphere, with intensive nightlife combined with ancient monuments, monasteries, churches and, most of all, wonderful sandy beaches. 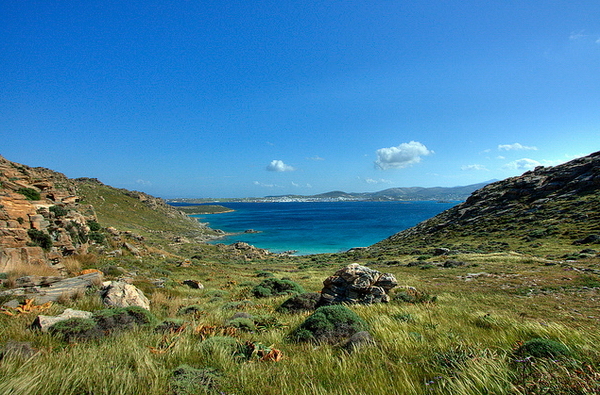 There are also many areas which maintain a tranquil and traditional pace of life, together with all of the above, Paros has it all.